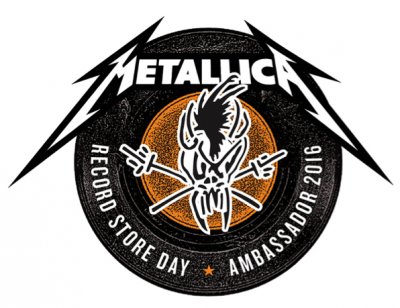 Metallica is no stranger to Record Store Day, this year set for Saturday, April 16th, a special day in support of independent record stores and record store culture worldwide, now in its ninth year. Throughout Record Store Day’s near-decade lifespan, Metallica’s support has been more than noteworthy with in-store appearances, (remember Mountain View, CA Rasputin Records in 2008, when the band met their fans for hours to kick off the very first Record Store Day) and a healthy handful of special releases. In fact, members James Hetfield, Lars Ulrich, Kirk Hammett and Robert Trujillo made big news just last year when the band’s cassette-issued demos collection, No Life Til Leather, ended up as Record Store Day 2015’s highest seller. As well, Trujillo’s lauded biopic, Jaco, about legendary bassist Jaco Pastorius, was RSD 2014’s Official Film and a special Record Store Day exclusive version was released on DVD for Black Friday 2015, including a bonus CD featuring tracks from Trujillo himself. For now, let’s all get ready for another great Saturday in April, when we celebrate the culture of the independent record store with Metallica.